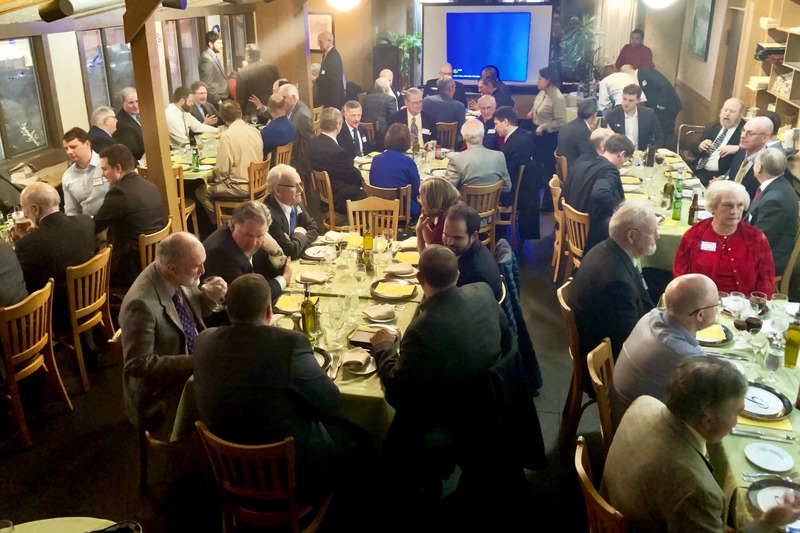 January 24, 2019, SNAME Chesapeake Section eagerly anticipates a presentation by guest speaker Howard Berkof. Five of our SNAME HQ staff headed over to Portofino Restaurant in Arlington, VA to to demonstrate our solidarity, greeting familiar members and meeting new ones (and chatting up a few soon-to-be members as well!) during the lively cocktail reception before dinner. We weren't able to stay for the program, though, as they had already reached maximum capacity and had set up a wait list for this sold out event! This is just one example of a committed group of SNAME members getting together to network, say hi to old friends, and be treated to a first-rate presentation. Make sure you listen to the recorded presentation (a members-only benefit! ), and remember to check out our Events Calendar to find events near you!